Wouldn't it be great if you can save some money in sending a parcel to a friend in another part of the city through someone who is going in that direction anyway? Or earn some pocket money by delivering such a parcel? BECK Friends allows you to do just that. BECK Friends is a peer-to-peer logistics service launched earlier this month by BECK Technology Ventures Pvt Ltd. 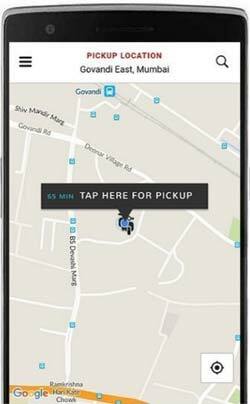 This is the second offering of the Mumbai-based startup that was founded in November 2015; the first is the hyperlocal delivery service BECK Instant in Mumbai. The idea for a so-called social logistics business struck co-founder Deep Malhotra when his family was travelling to London and forgot an important medicine. He checked Facebook to find out if anyone in his friend list was going to the UK and actually found one person, who took that medicine to his family. "Courier companies usually have long procedures that require almost two to three days. Also, on your Facebook timeline you see your friends posting this kind of stuff, so we wanted to convert the entire Facebook timeline to a product," says Malhotra. "It is a huge opportunity." BECK Friends needs a Facebook sign-up once you log on to its website or app. Users who want to send some item can place pickup requests and drop location. Other users can view the requests and then respond to the request they can fulfil. Once the sender approves the request, numbers are exchanged through text messages. How will the company verify the people involved in the transaction? And how will it ensure that the items being sent are not illegal, such as narcotics? Malhotra says the service requires the sender to give details of the package to be delivered and upload pictures as well. In the future, BECK Friends will require users to submit their Aadhaar or PAN card details, which will be verified by a third party. The platform's algorithm calculates an estimated amount keeping in mind factors such as the type of package, urgency, distance and dimensions. But this price be negotiated by the two parties involved in the transaction. The startup is looking to add more payment options including digital wallets. Malhotra says BECK Friends can be either intra-city, inter-city or even international. But why would anyone choose BECK friends over a regular courier service? Lower price, says Malhotra. "Our pricing for BECK Friends is usually 30 per cent cheaper then what courier companies charge". Both BECK Friends and BECK Instant services are available on Android and iOS apps and also on the web. The company has kept BECK Friends free for the time being. It aims to achieve 30,000 sign-ups on the BECK Friends platform before it begins to charge a convenience fee or a commission from the users. BECK friends currently has around 40-50 open requests on its platform and claims it has completed an equal number of requests in the past couple of days. The company was co-founded by Malhotra, Mayukh Basu, Rahul Basu and Shikha Pandey. Malhotra was part of the founding teams of Google India and MySpace India and also worked with Rediff.com previously. Mayukh and Rahul are BITS Pilani alumni while Shikha worked in the marketing teams of Hindustan Unilever Ltd and Bharti Airtel Ltd. The co-founders have themselves invested $200,000 (Rs 1.3 crore) in the company. They are looking to raise $3 million in external funding in next few months. While there are several hyperlocal logistics service providers in India, there is no P2P delivery company. Norway's Nimber and the US-based PeerShip are some international P2P logistics firms. Malhotra wants BECK Technology Ventures to become a single interface for sending anything, anywhere. However, the company's main focus will be on BECK Friends. The company is looking to launch BECK Instant in Bangalore in the next two months. It also plans to launch a third service called BECK Partners, which will be a marketplace for courier companies. Dheeraj Jain, partner at Redcliffe Capital and an angel investor, feels there are a lot of challenges in terms of scalability and reliability in a P2P logistics business model. Jain, also the lead investor in on-demand logistics startup Shipsy, says he thinks this model can work for intra-city logistics but people will be reluctant to carry someone else's luggage on an international airline. "It will be very challenging to achieve the right scale," he says. Jain said Shipsy had also thought about this idea but shelved it. "I don't think many companies will adopt this business model in the country." Apoorv Ranjan Sharma, co-founder of Venture Catalysts, a seed investment and innovation platform, feels that strict due diligence of goods will be critical. He also says that BECK Friends needs to define a specific vertical which it is targeting. "You have to be careful what are you going to pick up and drop," he says. "There are some risks in this business. There should be a balance between the risks and the financial opportunity."